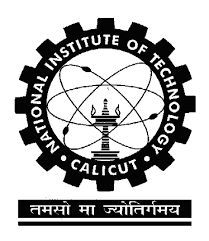 Good Opportunity for all the Eligible candidates announces by NIT Calicut. Those who are interested to join a reputed educational institute are welcome to fill the application form. Efficient Indian candidates are suggested to step forward to fill the application form for the post of Deputy Registrar and Assistant Registrar. Ways to Apply : Candidates are suggested to send their application form along with all necessary documents at: The Registrar, National Institute of Technology Calicut, NIT Campus P.O., Kozhikode-673601, till last date (19/09/2016).